H. Rick Bamman - hbamman@shawmedia.com McHenry's Mannon Amelio heads to third in the fourth inning Monday, April 24, 2017. The Warriors scored two runs in the bottom of the sixth to come from behind to meat Jacobs 8-7. H. Rick Bamman - hbamman@shawmedia.com McHenry's Mannon Amelio (left) is welcomed home by Tiffany Kirk after scoring a run in the fourth inning Monday, April 24, 2017. The Warriors scored two runs in the bottom of the sixth to come from behind and win 8-7 over Jacobs. 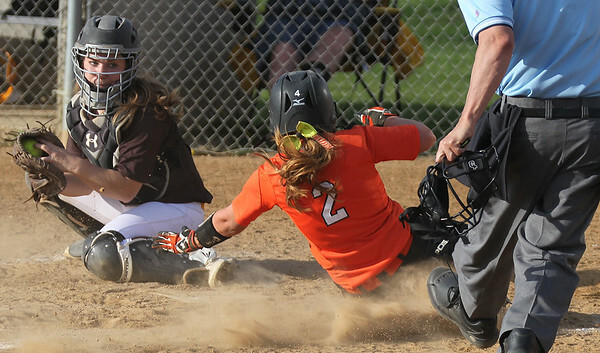 H. Rick Bamman - hbamman@shawmedia.com McHenry's Tori Boysen looses the ball in the dirt as Jacobs' Jes Mrzlak scores a run in the fifth inning Monday, April 24, 2017. 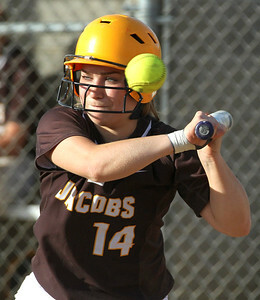 The Warriors scored two runs in the bottom of the sixth to come from behind to beat Jacobs, 8-7. 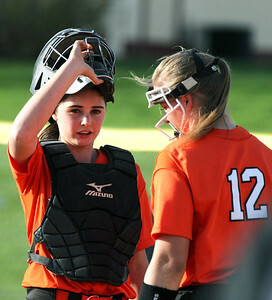 H. Rick Bamman - hbamman@shawmedia.com McHenry catcher Tori Boyson (left) and pitcher Lindsey Clesla chat on the mound during an injury time out in the fifth inning Monday, April 24, 2017. The Warriors scored two runs in the bottom of the sixth to come from behind to win 8-7 over Jacobs. 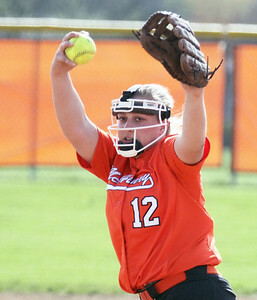 H. Rick Bamman - hbamman@shawmedia.com McHenry's Lindsey Ciesla pitches against Jacobs in the second inning on Monday, April 24, 2017. McHenry won, 8-7. H. Rick Bamman - hbamman@shawmedia.com McHenry's Tiffany Kirk catches an infield fly ball in the second inning on Monday, April 24, 2017. won, The Warriors scored two runs in the bottom of the sixth to come from behind to win over Jacobs 8-7. H. Rick Bamman - hbamman@shawmedia.com McHenry's Jocelyn Currie puts the tag on Jacobs' Svannah Svedman at second in the fifth inning on Monday, April 24, 2017. The Warriors scored two runs in the bottom of the sixth to come from behind to beat Jacobs, 8-7. H. Rick Bamman - hbamman@shawmedia.com Jacobs' Jess Mrzlak watches a high pitch go by in the fifth inning Monday, April 24, 2017. McHenry won, 8-7. 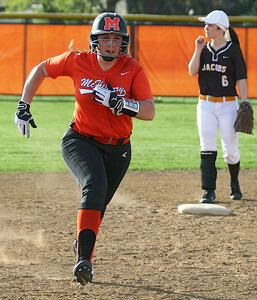 H. Rick Bamman - hbamman@shawmedia.com McHenry's Tiffany Kirk scores the go ahead run in the fourth inning past the tag of McHenry's Jess Mrzlak Monday, April 24, 2017. The Warriors scored two runs in the bottom of the sixth to come from behind to win 8-7. 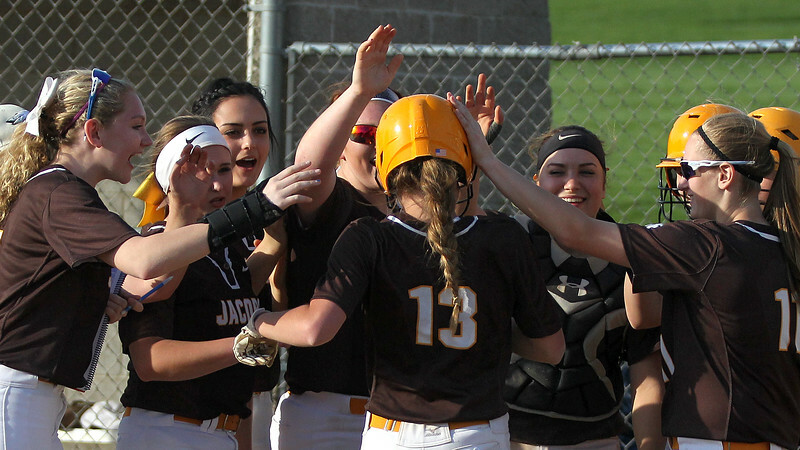 H. Rick Bamman - hbamman@shawmedia.com McHenry won, 8-7 over Jacobs' Hannah Slocum (13) is welcomed home by teammates Monday, April 24, 2017 after scoring a run in the fifth inning. McHenry won 8-7. 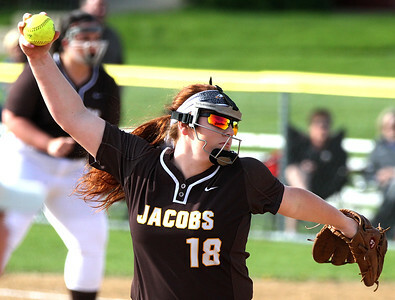 H. Rick Bamman - hbamman@shawmedia.com Jacobs Savannah Svedman pitches against McHenry in the second inning on Monday, April 24, 2017. McHenry won, 8-7. 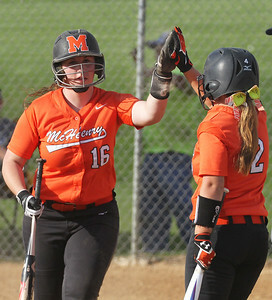 McHenry won, 8-7 over Jacobs' Hannah Slocum (13) is welcomed home by teammates Monday, April 24, 2017 after scoring a run in the fifth inning. McHenry won 8-7.